I am joining up with A Teacher Mom today for Chapter 2 of Building Mathematical Comprehension by Laney Sammons. 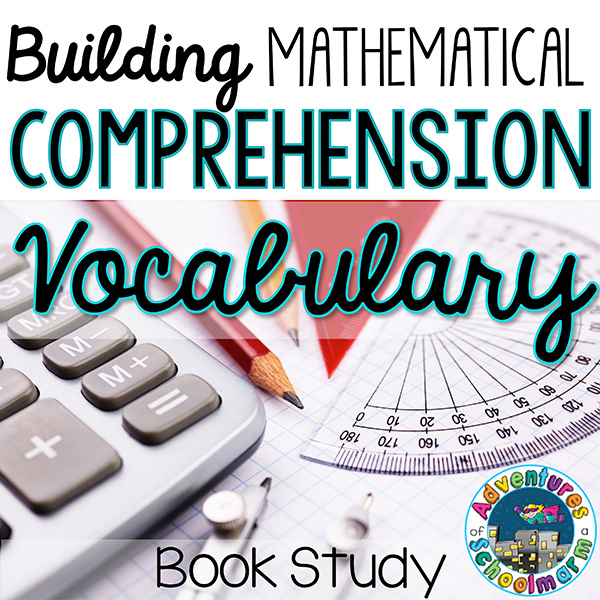 Chapter 2 is all about recognizing and understanding mathematical vocabulary. It was so eye-opening! I learned some new things (which is the best! ), but it also built my confidence to see that I am already doing many of the best practices she mentioned. Vocabulary development is really complex, especially for developing mathematical vocabulary. Not only do students have to be able to literally decode the terms, but they also have to translate the terms so they make sense within a mathematical context. Our goal as teachers is to help students move from having only RECEPTIVE KNOWLEDGE of the terms (they understand it when they hear it or read it) into having PRODUCTIVE KNOWLEDGE of the terms (they can use the terms appropriately when writing and speaking). 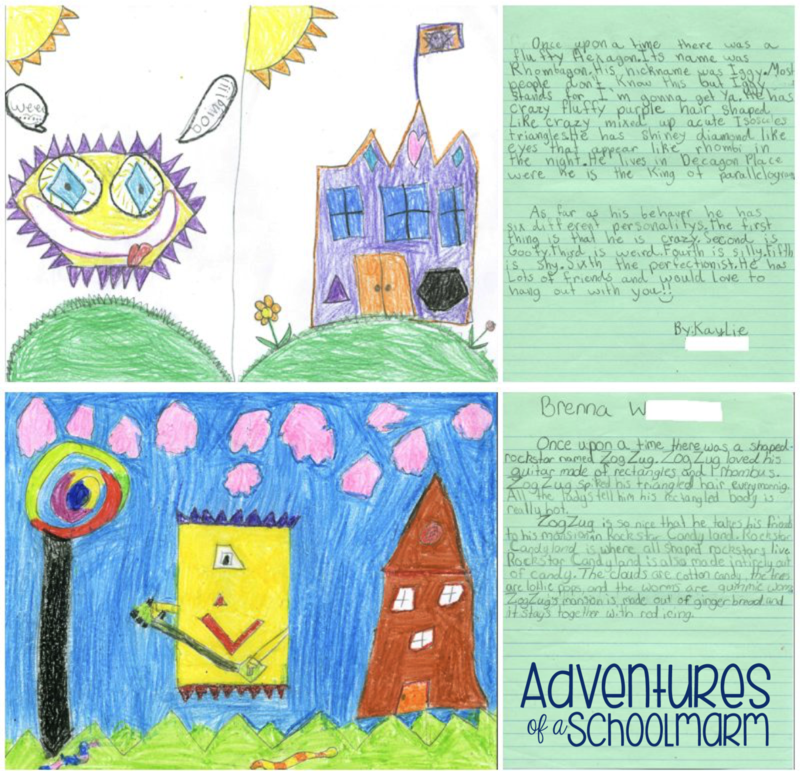 In this activity, students created a creature out of polygons, then wrote a short story about it. The story had to include a description of the creature using mathematical language and a description of its habitat. The kids had a lot of fun with it! Vocabulary instruction should be “seamlessly integrated into the everyday instructional practices of teachers” (p. 59), not just an “add-on” to our lessons. It needs to be INTENTIONAL. Vocabulary words can be categorized in three ways: familiar words that they need to be able to decode and recognize in print, new words that help label familiar concepts, and new words that refer to new concepts. Thinking about words in these ways can help us intentionally design our lessons with the appropriate strategies to maximize their learning. Before beginning our class research project on dinosaurs, we took a vote on which dinosaurs they wanted to research the most. 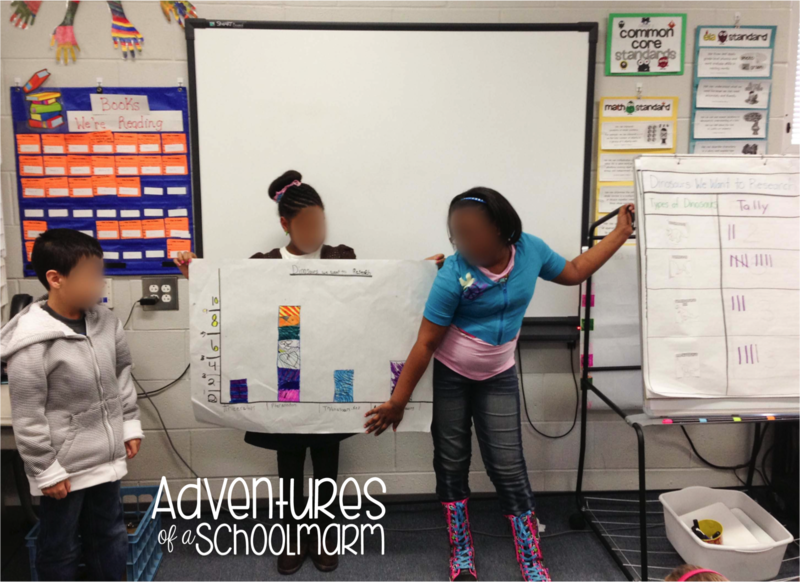 These students worked in cooperative learning groups to represent the data from the tally chart in different ways. This group had to use mathematical vocabulary in a real-world context to present their results. I love giving kids the opportunity to speak in front of one another! The author states that teaching content-specific mathematics vocabulary is actually quite similar to teaching students that are English Language Learners. I never thought about it this way before, but it makes so much sense! Multiple exposures, analyzing word parts, incorporating nonlinguistic representations, discussions, written responses, and games are also great strategies for teaching students new words. I do a lot of these things already, but I definitely want to be more intentional about having students discuss and write responses about their thinking during math. 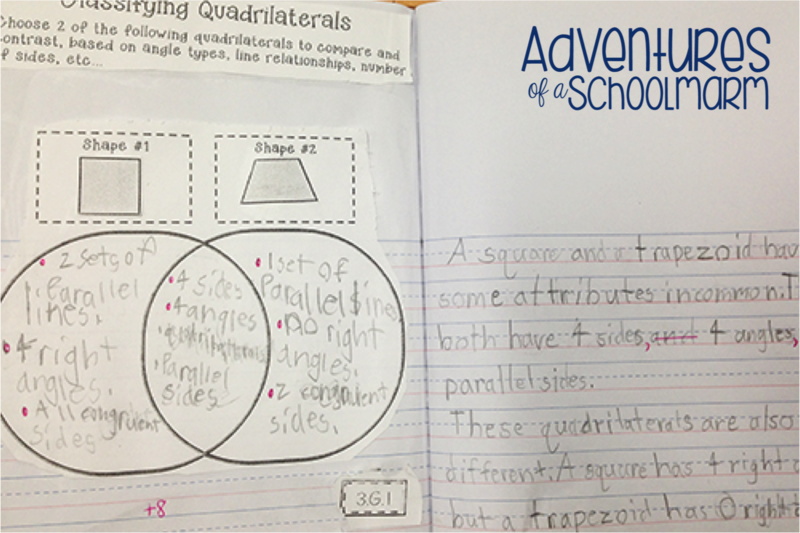 In this activity, students were expected to compare and contrast two different quadrilaterals according to their attributes. 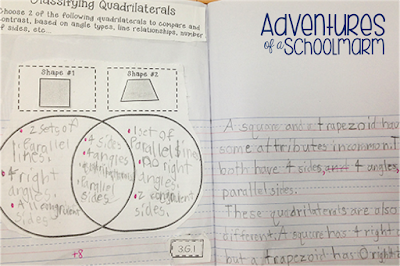 After completing the graphic organizer, they used the information to write a paragraph using mathematical vocabulary. They definitely had a deeper understanding of the related vocabulary after this lesson! I love tying literature into mathematics instruction, but I feel like I don’t know about many that are appropriate. What books are your favorites for introducing or reviewing specific math concepts? Tell me about them in the comments below! Hi Beth! Are you familiar with the Math Start books like Give Me Half? I like those. I like The Greedy Triangle (which is great for character building as well as math!). Another one I think could be used lots of ways is 365 Penguins. It's definitely for older kids, so I haven't been able to use it, but if I'm remembering correctly it had a lot of potential.